Calling ALL investors and entrepreneurs!! 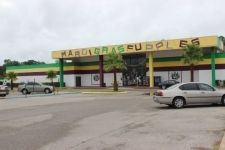 Commercial building for sale, perfect for retail, good condition. 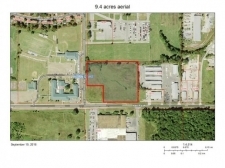 This 3 acre parcel is zoned I-2 Industrial zoning with 291 ft of road frontage. Currently a car lot, next to new Dollar General on the corner of Pass Road and 5th Avenue. Established strip center with long time tenants. Great Commercial lot in a developing area with high traffic volume from I 20 & Hwy 80. 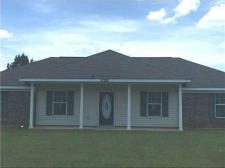 One and one half city blocks in Gulfport just north of the Sea Bee Base off 28th Ave. Zoned RB. This property is priced for commercial use. REDUCED TO SELL! Zoned C-2. 183' road frontage on Highway 49. Also includes parcel # 132H-2-03-003.002 and building was rebuilt in 2011. Waterfront commercial acreage - Zoned C-3 - Reduced by $239,000! ''Randy's Quick Lube'', 3-Bay with office/separate waiting room with seating, tv, view to work area.